The Orlando Sentinel recently reported that a 27-year-old woman is facing criminal charges in the hot-car death of the 4-year-old son of her boyfriend. The little boy was reportedly alone in a locked car for more than six hours before being found unconscious. He had an internal temperature of 108 degrees when he was pronounced dead at Arnold Palmer Hospital for Children. Last year alone, 51 children died from vehicular heatstroke. These statistics are especially tragic because each of the losses of these young lives was totally preventable. How do These Hot-Car Tragedies Occur? The child is not in the line of sight. There is a distinct reason why the overwhelming majority of the children who die from intentional vehicular heatstroke are infants and toddlers. Young children typically ride in the backseat of the car, meaning that they are outside of the line of sight of the driver. The child cannot talk. Young children often lack the communication skills necessary to tell the adult who is driving that they are still in the car. Unlike an older child who can cry out or shout once he or she realizes what’s happening, a young child is totally at the mercy of the driver. The caregiver is mentally distracted. From problems at work to the latest fight with a spouse, there are many things that can distract a driver from the passengers in his or her vehicle, even when those passengers happen to be to children. The child enters the vehicle on their own. Anyone who has ever been around a young child knows that they are uncannily intelligent and mischievous. They can figure out amazing ways to find an entrance into places that they have no business going. Unfortunately, this can include discovering a set of car keys that are within reach and entering a vehicle without the knowledge of a caregiver. The caregiver is unaware the child is in the vehicle. In some scenarios, the driver forgets that there is a child riding in the car. In other scenarios, the driver is totally unaware that the child was ever in the car during the ride. While this may seem like a far-fetched scenario, it is actually quite simple to imagine how this happens in the context of busy and rushed circumstances as well as when the driver is not the child’s usual mode of transportation. Has Your Child Been Injured Because of Someone Else’s Negligence? If your child has been injured, or even killed, because of the negligence of another person, we sympathize with what you and your family have experienced. We are also here to provide help. 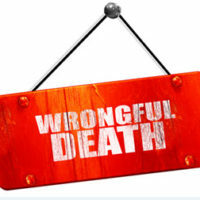 Contact the experienced Orlando wrongful death attorneys of The Pendas Law Firm today and we will help you recover the compensation you are entitled to. The Pendas Law Firm also represents clients in the Tampa, Fort Lauderdale, Miami, Fort Myers, Daytona, Jacksonville, and Bradenton areas.